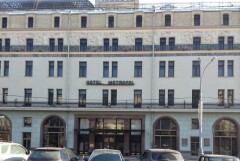 A Moscow hotel with a revolutionary past | Fight Back! The delegation of anti-war activists from the U.S. have been staying at a fancy, old hotel right by Red Square in Moscow. The Metropol is over 100 years old. In 1917, the October Revolution, led by the Bolsheviks, overthrew the capitalist government in Saint Petersburg. The country's capital was moved to Moscow because the imperialist countries on all sides of the Soviet Union were invading to try to crush the revolution, and Saint Petersburg was closer to the border. 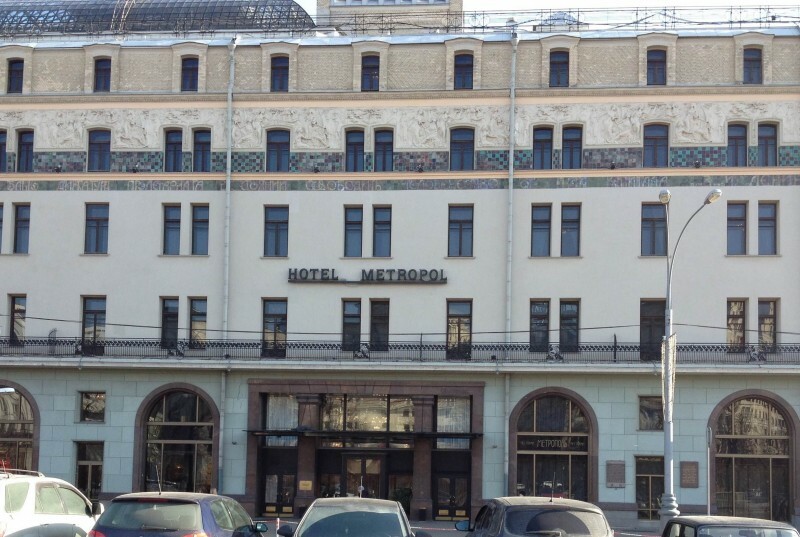 When the revolutionaries took power in Moscow, the Metropol, which had been a headquarters for the counter revolutionaries, was appropriated to become the Second House of the Soviets. We have breakfast each morning at a dining room in an enormous hall. There’s a plaque that states that in 1918 and 1919, that room held Bolshevik party congresses, and Lenin gave many speeches there. Tiles on the exterior of the Hotel Metropol contain a quote from Lenin. It reads, “Only the dictatorship of proletariat can free mankind from the oppression of capitalism.” On the plaque about the history of the building, it’s also written that Lenin met there with members of the "prodotryad" - revolutionary brigades that compelled the rich people to share their food with the starving workers of the city. Perhaps he had the prodotryad in mind when he wrote that slogan.